Cryptocurrency has been on the news for so many reasons - both the good and the bad. A lot has been said about the Bitcoin bubble. We have witnessed the FOMO of 2017 with Bitcoin hitting $20,000, and the severe bear market of 2018 which saw the price plummet over 80%, affecting the entire crypto market. However, the price is not the only definitive thing about Bitcoin, as the technology seems to be doing just fine and garnering more attention. There are a few other ways to profit in the crypto space, even in the bear market. One of them is futures trading. Investors are looking at futures trading for a variety of reasons - one of which is that it allows traders to go long or short in the market. Just a few exchanges allow futures trading. A futures exchange is an exchange where you buy/sell contracts and know exactly what the cost is over the life of the contract. It is usually much cheaper than margin trading where you pay a daily interest rate. There are just so many fees to be paid margin trading. The most popular exchange to trade futures contracts is BitMEX. No KYC is required and you can trade with up to 100x leverage. BitMEX provides cryptocurrency futures trading, stock derivatives, and other financial products. There, users can speculate on the future values of digital currencies. While investors might be suffering from the plummeting prices of their crypto assets, derivatives exchanges like BitMEX aren’t feeling it at all. BitMEX, as a matter of fact, has the largest recorded trading volumes at about $5 billion daily. The reason why trading volumes are huge? Simply put, “futures trading” is bigger than “spot trading”. This could be as a result of more players getting involved, the presence of larger players trading futures, or a combination of both. In many markets, very high trading volumes would be a good sign, but not very much here as no actual transactions of Bitcoin are taking place in futures trading. People are only trading mere contracts instead. For this reason, the price of Bitcoin isn’t affected by the traded volumes in futures trading. A press release sent from a public relations firm representing BitMEX recently revealed that the exchange had crossed 1 million BTC in daily trading volume for the second time. Over 1,027,214.64 Bitcoin contracts, approximately worth $6.6 billion were traded on the platform. After the milestone was achieved, Bitmex CEO Arthur Hayes said: “Once again meeting our own record of 1 million Bitcoin traded within 24 hours is a major milestone for the crypto-coin market and testament to the strong community BitMEX is growing." During the bear market, on January 2019, BitMEX exchange is trading around 1 million USD daily, which make it one of the top cryptocurrency exchanges. BitMEX has been excluded from the price and volume averages of Bitcoin on CoinMarketCap. This is because the BTC/USD market is a derivatives market NOT actually spot trading. 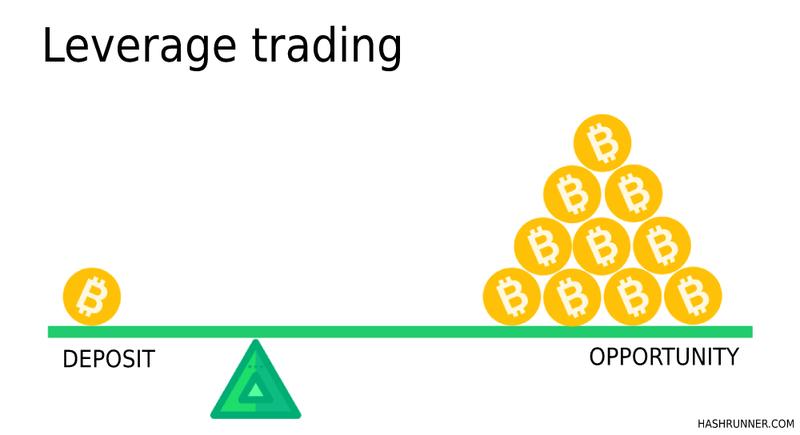 The BitMEX platform allows traders to leverage (place orders that are bigger than their existing balance) up to 100x. This could result in a higher profit compared to placing an order with just the balance in a trader’s wallet. With 2019 being touted as a Bitcoin futures year, we’ll see how many more traders will get interested in futures trading.